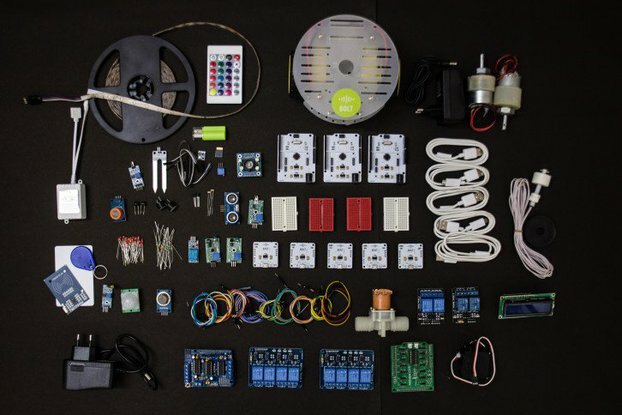 The ultimate open-source prototyping platform any maker would need. 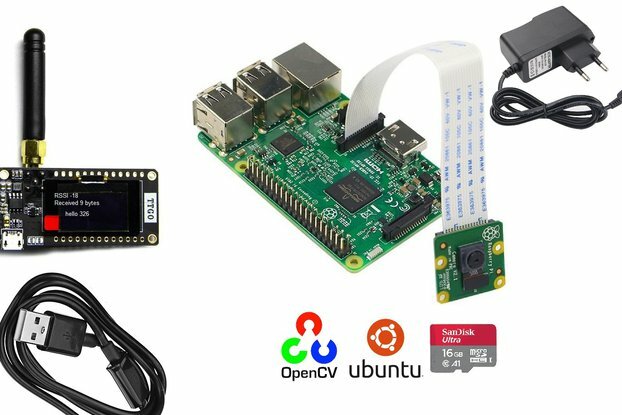 Its made for all age groups and serves a wide range of applications- helping hobbyists and students in building their projects and experimental setups, enabling beginners to learn & develop their making skills and advanced users like researchers, professionals and educators to analyze and debug their projects. Made with a vision of transforming the very basics of making, it enables you to innovate, transform and contribute towards technological progress of mankind. Forget dealing with humongous amount of components! When you have evive, that's all you will need. 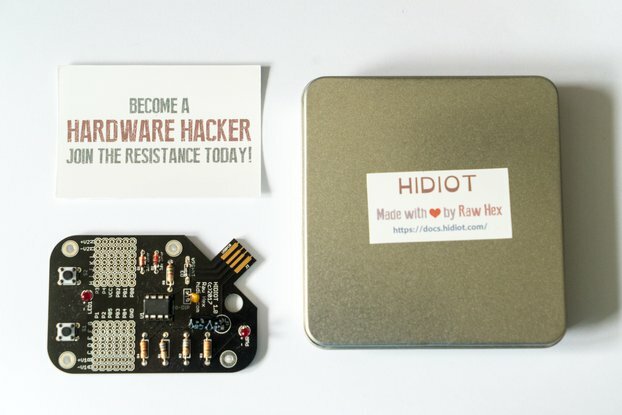 It's awesome features and innumerable components make it a one-stop solution for the maker community. And all of that at a very affordable price! With Arduino MEGA at its heart, it offers a novel way of interacting with your hardware using it's menu based visual interface. The accurate current & voltage sensing capabilities let you collect and analyze data from your projects. The whole world of Internet of Things, with power supplies and support for sensors & actuators is available in one small portable unit. It saves your time and allows you to be more creative and innovative. So wait no more, bring evive to your team and let it transform your ideas to reality! It's made for everyone! Whether you are a high school student, a college student, a STEM tinkerer, a hobbyist, a trainer, a professional, a scientist, a professor, a researcher or anybody who loves machines coming to life, evive will expand the horizons of your creativity in a cost effective way. 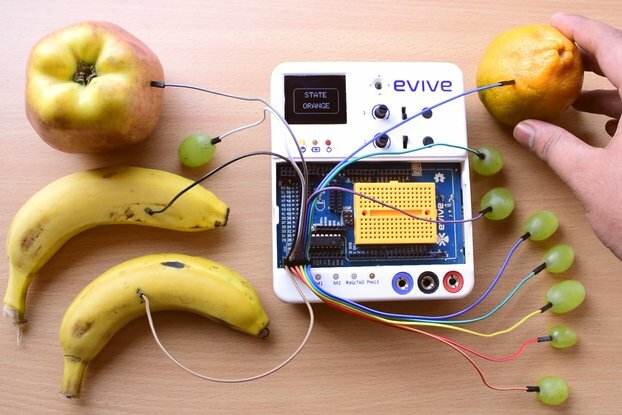 Students can learn with evive by making fun projects using evive's easy to assemble learning modules and boost their STEM skills. These modules will be provided with proper documentation to help you assemble the robots together, which can then be operated with user-friendly and intuitive on-screen menu. evive can be availed as following variants, catering to your specific needs. 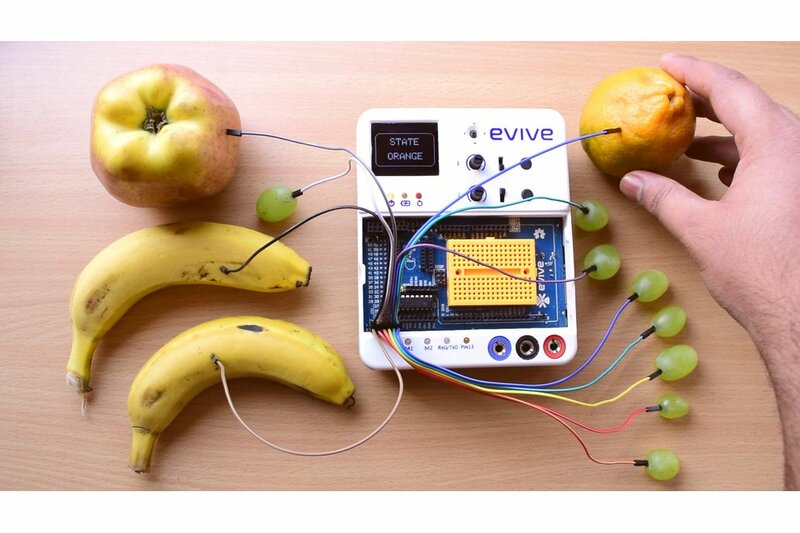 These easy to assemble DIY kits can be purchased in addition to evive to kickstart learning. With these awesome learning modules, kids can nurture the genius inside while boosting their STEM skills in a fun way. 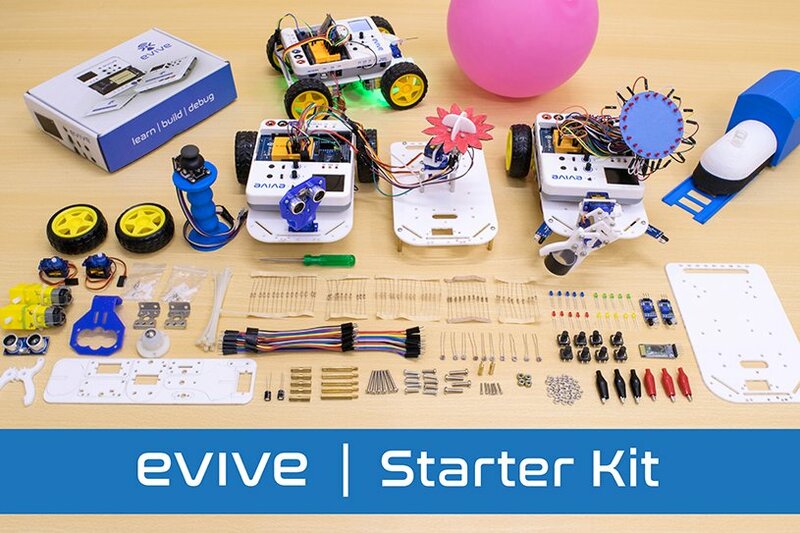 Relevant documentation is provided with the kit to guide you through assembling and using evive to control them.